What Is Micellar Water And How To Use It Effectively? Cleaning up is the worst part about the best part of getting ready – makeup. But wait, here’s something we all need – micellar water. 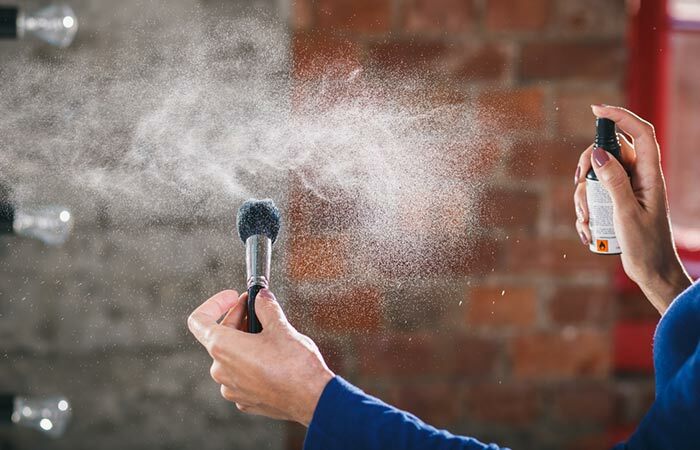 A new entrant in the ‘makeup removal’ category, this product has changed everything we knew about makeup removing and cleansing, and thank God for it. Wet wipes, cleansing wipes, water-based cleansers, oil-based lotions, baby oil – these are the things we’ve made do with for a while now. 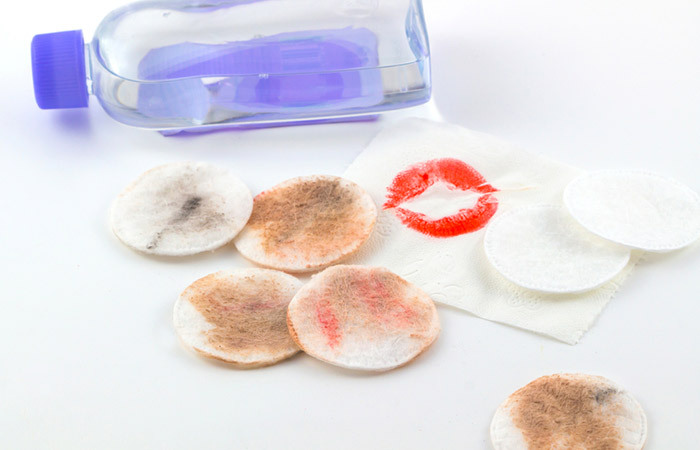 Every girl in the world has probably tried all of these, trying to find something that removes makeup effectively while still being mess-free, fuss-free, and easy on the skin. The struggle is real, and we couldn’t have been more thankful for this. But what is micellar water? How do we use it? Why should we even use it? 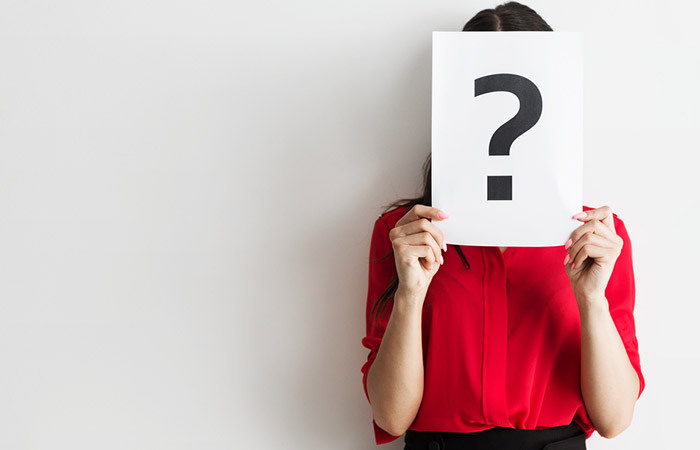 Hang on, all of your questions will be answered right here, so you can make an informed decision. Let’s take it from the top. Is Micellar Water Good For Your Skin? Why Should You Use Micellar Water? Micellar water is a liquid cleanser that contains tiny micelle molecules that are readily soluble in water and attract oil. This means oil, makeup, dirt, and grime get attached to it easily in just a few swipes. It contains water, a little glycerin, and a mild concentration of surfactants that help remove dirt. You don’t need to wash your after using micellar water as it gets fully absorbed into your skin and acts as a toner. But here’s the biggest question – is it actually good for your skin? Read on to find out. Micellar water is mild, non-alcoholic, and oil- and chemical-free. It does not contain any heavy duty soaps or cleansing agents that strip off your skin’s natural oils, dry it out, or cause breakouts. It is gentle on the skin and does not cause any damage. On the flip side, since it does not contain fancy ingredients, it might not remove all traces of makeup. Thus, you may need to follow it up with a face wash, cleanser, or toner. So, you must be thinking why use it in the first place? Well, there are plenty of reasons why you should use micellar water. Check them out! It does not need to be rinsed off, unlike most cleansers that leave behind an oily and greasy layer at the top of your skin. It does not contain any chemicals that can irritate your eyes, cause redness, or make your eyes water. The water and glycerine formula is perfect for sensitive skin too. It is not an abrasive or an exfoliant and does not contain alcohol that dries your skin out or causes inflammation. It is gentle on your skin. It removes makeup in just a few swipes and without creating a mess. It saves times and does not to be used over a sink. You can use it in bed and go straight to sleep. 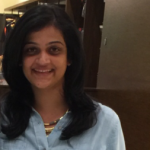 Quite amazing that one product can totally transform your skin care routine, isn’t it? Let’s see how you can start using micellar water on a regular basis. Skin experts say that you need a full cycle of double cleansing twice a day. Once in the morning, and once at the end of the day to remove makeup. But, let’s face it – you probably think it is too laborious to follow a strict routine like that. Here’s where micellar water comes to your rescue. It gets absorbed into your skin and cleanses it quickly. 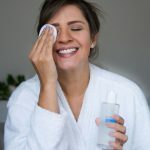 If you use any serums, packs, or lotions as part of your nighttime routine, clean them up with micellar water the next morning before washing your face. If you think you need a much stronger makeup remover, use one of your choice and follow it up with micellar water. 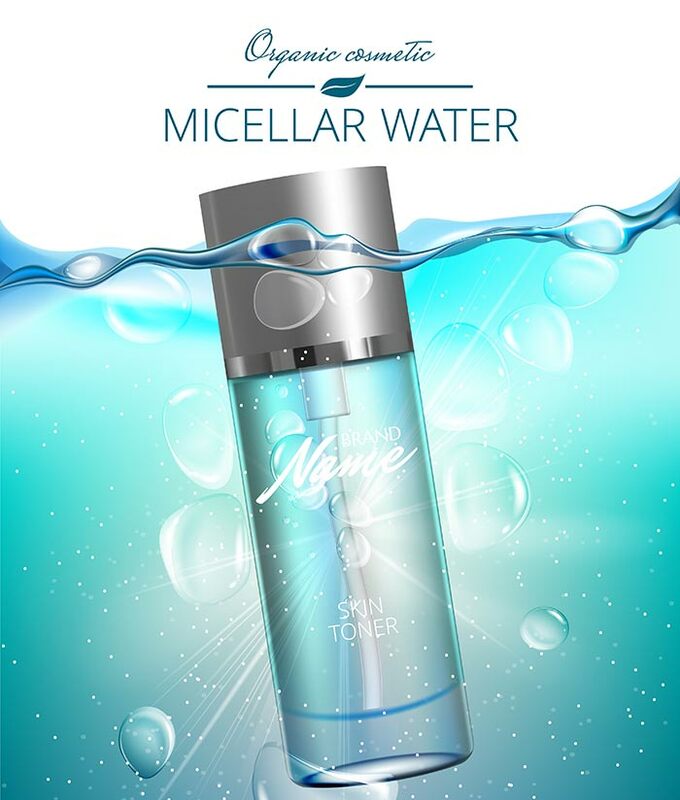 Micellar water acts as a toner while removing the last traces of makeup. Use micellar water for its intended purpose – as a makeup remover. Soak a cotton pad in this liquid and wipe your makeup off. If you have heavy makeup on, do this a couple of times. It is the safest and most harmless way to remove your makeup. If you feel like there’s too much makeup on your face or your skin starts feeling heavy in the middle of a hot day, micellar water comes in very handy. Dip a cotton pad or soft cloth in micellar water and dab it around your T-zone or oily zones. It refreshes you instantly and keeps your skin hydrated. You know how you never have the time or always find an excuse for not cleaning your makeup brushes? We totally get it. Micellar water is the easiest, cheapest, and most fuss-free way to clean your brushes. Soak your brushes in a bowl of micellar water for a few minutes. Dry them with a paper towel or a soft cloth. You are sorted! Most of us don’t wear makeup when working out and, thus, assume that washing our face directly with a cleanser or a face wash is a great idea. The truth is, a whole lot of sweat settles on the top of your skin and attracts dust. This can clog your pores. Just use micellar water to cleanse your face quickly after working out. 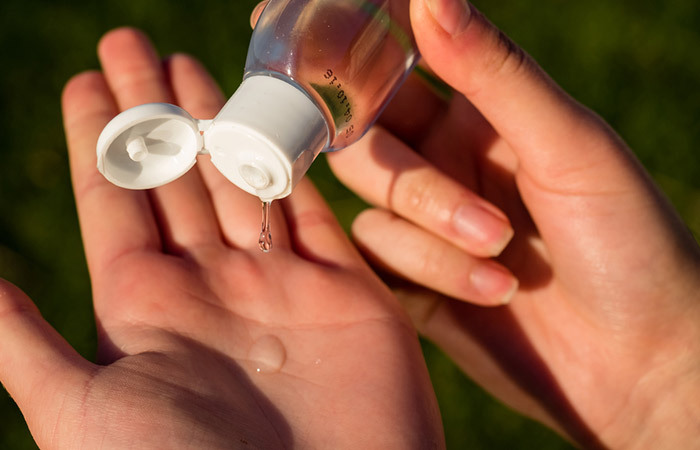 It may sound like a crazy idea, but micellar water can be used as a hand sanitizer when you are in a pinch. Though micellar water has been around for a long time, it has gotten popular only in the last few years. Have you jumped on this bandwagon yet? How do you feel about it? Let us know by dropping in a text in the comments section below. Yes. It contains water, glycerine, and a mild mix of surfactants. Micellar water does not contain any harsh chemicals. So, it is suitable for all skin types. What should you look for when buying micellar water? Micellar water is a pretty safe product to use. However, some brands add humectants and alcohol to it, so do your research before making your purchase. What is the difference between micellar water and toner? Micellar water is predominantly a cleanser and contains elements that attract dust and grime. Toner, on the other hand, finishes up the cleansing process, closes your pores, and gently exfoliates your skin. When should you use micellar water? You can use micellar water to remove makeup at the end of the day. If you think it is too mild, you can use it in a double-cleansing process along with a makeup remover to weed out all the stubborn debris from your face.